K’NEX Kid Stretchin’ Friends Building Set – Only $7.77! 23 COLORFUL PIECES – The K’NEX Stretching’ Friends Building Set includes 23 vibrant pieces that are perfect for your young ones. This set lets your kids easily create models out of the large pieces! Includes special parts – this set includes specially designed parts that are only found in kid K’NEX sets. 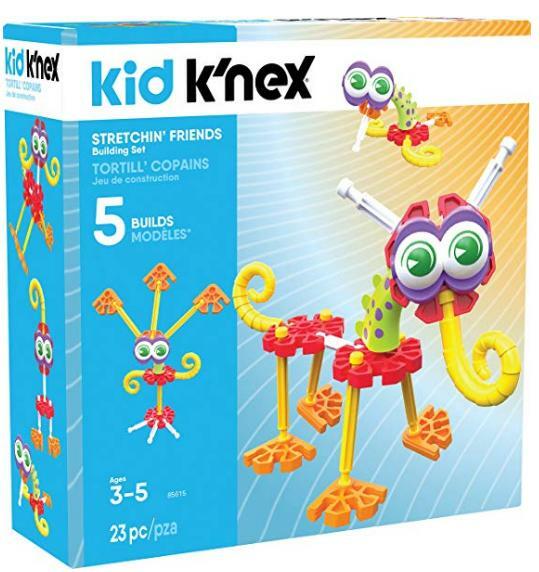 Let your child build cool K’NEX Buddies with stretchable necks and curly tails!